We have become so accustomed that we barely notice them in detail: beverage cans. In Germany alone, billions of cans cross store counters every year. How are such incredible numbers even possible? What is behind it all? And how is it possible to produce a product of such high quality in a sustainable and efficient manner? Let’s take a look at the key stages in the “life” of a steel beverage can—including the most important numbers and facts surrounding this popular and robust tinplate container. The life of a steel beverage can commences in an oxygen steel mill, for example at thyssenkrupp Steel Europe in Duisburg. Here, liquid raw iron is made from iron ore, coking coal, additives such as limestone and reducing agents like coal, oil or gas at high temperatures in a blast furnace. At the steel mill scrap steel is added and melted, which has the advantage of lowering the temperature to the required temperature range of 1600°C. This temperature is the optimum value for the production of crude steel from raw iron. Crude steel is the starting product for hot rolled strip, which is transferred to Germany’s only manufacturer of packaging steel, thyssenkrupp Rasselstein GmbH in Andernach, for further processing. At this site, thyssenkrupp processes the steel band into ultra-thin, cold-rolled blackplate, which is tin-plated for the subsequent production of beverage cans. Once rolled up into coils, this so-called tinplate or packaging steel is shipped to beverage can manufacturers. 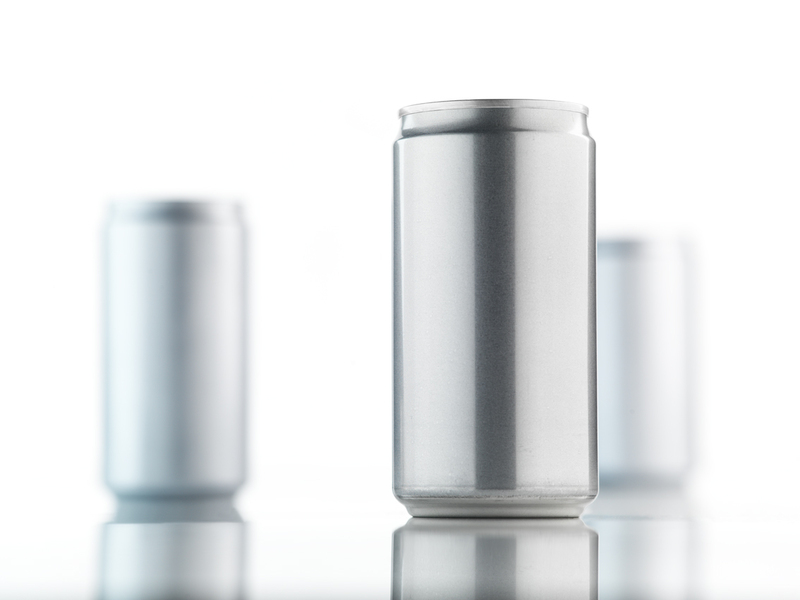 A 0.33 liter steel beverage can weighs only 19 grams; that’s more than a third lighter than in 1985. thyssenkrupp’s vast experience as a long-time supplier of D&I packaging steel for beverage cans ensures high quality products combined with reduced resource use: steel ranks highly in terms of sustainability due to the development of new steel grades and ongoing research into the manufacturing processes. Each newly produced steel beverage can contains a share of recycled steel scrap. Each ton of steel scrap used approximately accounts for a ton of CO2 emissions savings. In order to achieve maximum efficiency in the supply chain, thyssenkrupp ensures that its material has what it takes to be processed into beverage cans: a high degree of steel purity enables maximum formability and reduces waste during processing. Furthermore, tribologically optimized surface characteristics and friction properties facilitate further processing and protect the machines and tools.